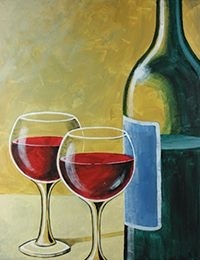 Join us for a night of painting, wine, hor d’oeuvres, and laughter to support the TCC Fund. Donations to the TCC Fund are used to help eliminate financial barriers impeding students from receiving a quality education. Paint & Sip participants will receive step-by-step instruction to create this beautiful canvas. Materials and canvas are included in the price. Tickets are available on a first come, first served basis. Seating is limited. Get your tickets today. Proceeds will benefit the TCC Educational Foundation.